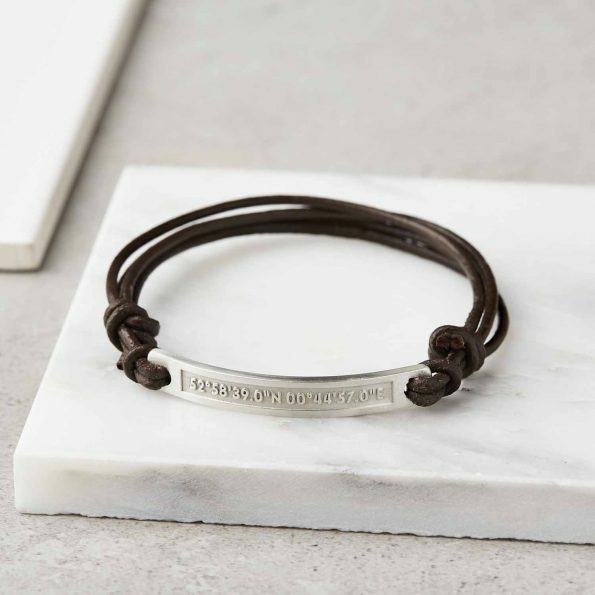 Sterling silver and leather bracelet etched with your words or a short message, on a genuine leather cord. 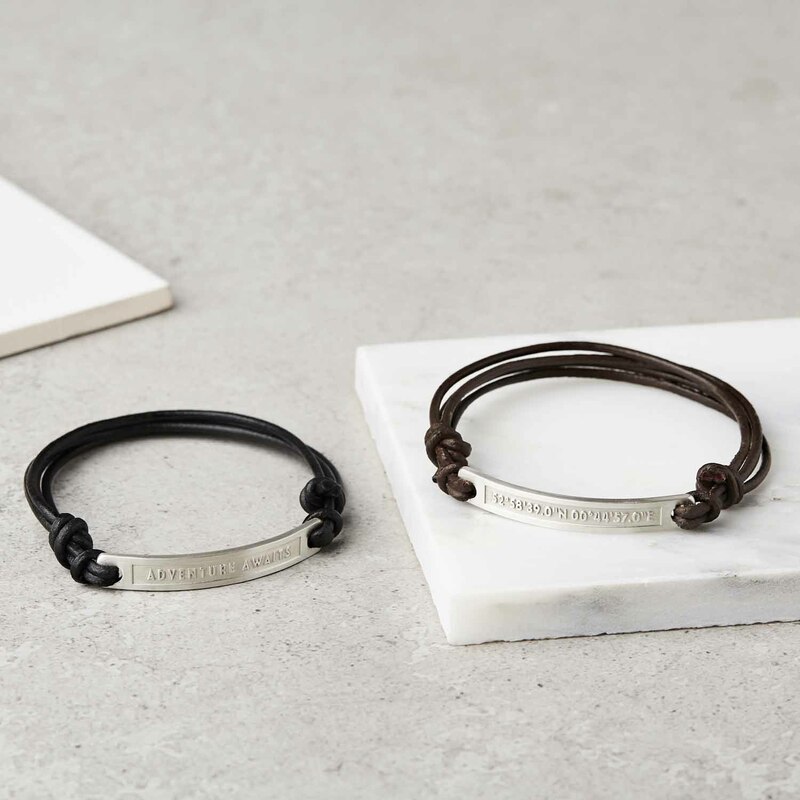 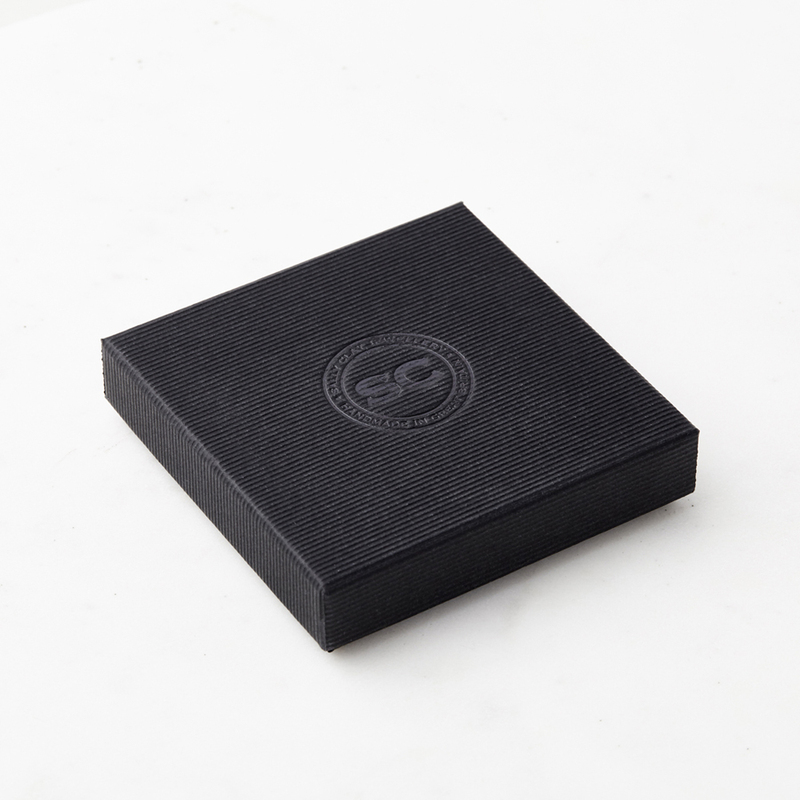 We can engrave any language and symbols of your choice (up to 20 characters) on the front of the silver . 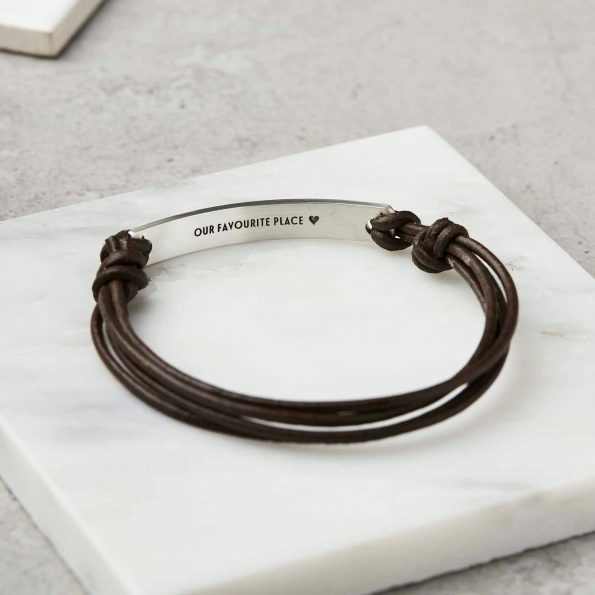 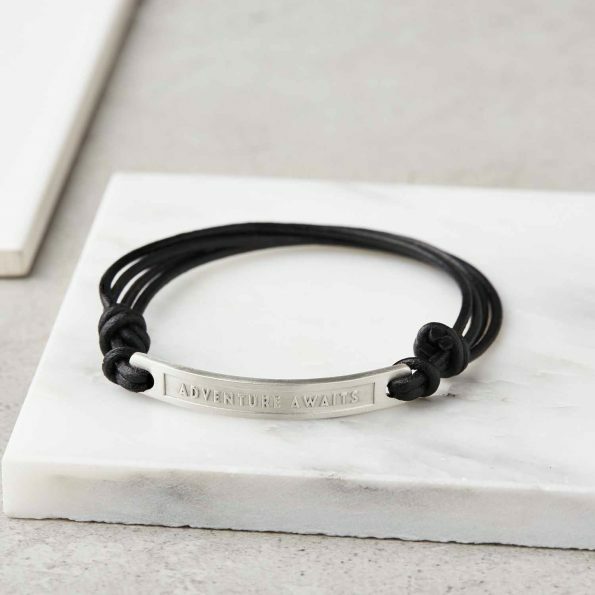 Personalised engraved sterling silver and leather bracelet etched with your words or a short message, on genuine leather cord. 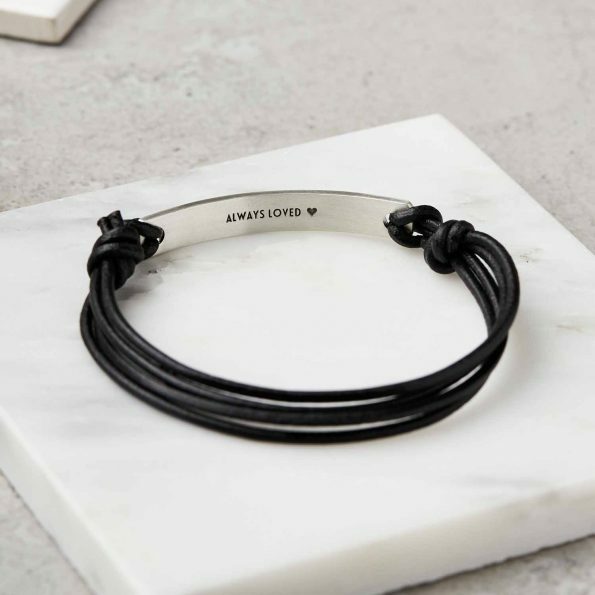 A great gift for a birthday, anniversary or Father’s Day. We can engrave any language and symbols of your choice (up to 20 characters) on the front of the silver .